So I tells the guy, "Hey, you posted these BLACK wheels, and in the pictures there's no obvious paint chips missing showing the GOLD underneath, yet when I took them out of the box they both have big paint chips. Wassamattayou?" Okay, well I didn't say that per se, I was very nice and said I expected black wheels, not gold wheels painted black. 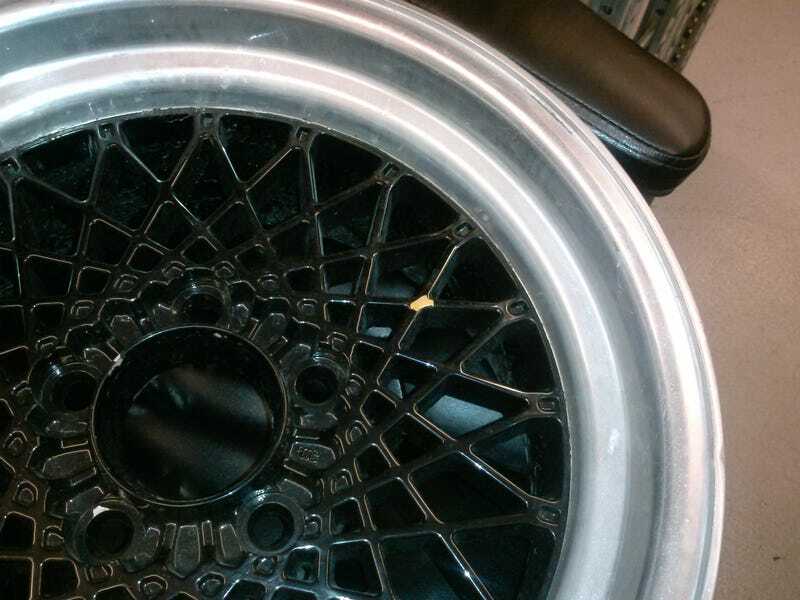 If I had seen the paint chips or known they were re-painted gold wheels, I would not have bid. I did thank him for his fast shipping and lets be honest, they were a steal at $40 each shipped, and are otherwise in great shape. The guy gives the basic asshat eBayer response: "I said they were not perfect, and started the auction at $19.99, I did not miss represent (sic) the wheels." He offered to take them back, but I'll keep em.